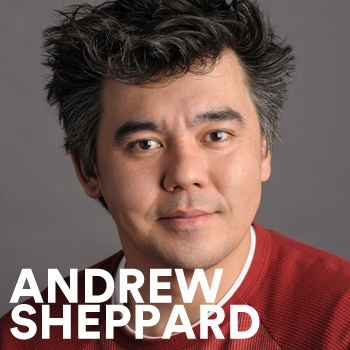 Andrew Sheppard is President of Kabam Studios, where he leads the company’s game studios in San Francisco, Beijing and Vancouver. With more than a decade of gaming experience from companies such as EA and Outspark, Andrew has pioneered Kabam’s unique approach of blending art and science to create mass-market commercial games and has overseen the strategy and development of seven Kabam games that gross more than $1 million per month, including the award-winning Kingdoms of Camelot, a $250 million franchise and games based on iconic Hollywood films such as The Hobbit, Fast & Furious 6 and The Godfather. At the 2014 D.I.C.E. Summit, Andrew will deliver a talk entitled “Unlearning history: Avoiding the cultural pitfalls of traditional entertainment.” The recipe for success in today’s dynamic industry has greatly changed. New platforms and business models are disrupting traditional methods. The road to success may be unlearning what you thought you were an expert on and having the humility to change direction. In his talk, Andrew will discuss the need to embrace and celebrate transition, in order to achieve creativity, success and prosperity in today’s world. These days I split my time evenly between mobile games and console games. On the mobile front, I’m playing a lot of Dragons of Atlantis: Heirs of the Dragon and Jelly Splash from Wooga. On the console front, I am totally having a blast with Dead Rising 3 - an open world zombie game riding on top of the power of next gen consoles? Yes! I’m incredibly excited about the upcoming release of Titanfall. First-person shooters will always have a special place in my heart and I’m really fascinated to see how Respawn balances mech combat with infantry combat. The overall proposition strikes me as a difficult design challenge, but I have faith given their experience that they’ll get the balance right. A recent niche mobile title that really impressed me with its gameplay innovation would be Colossatron from Halfbrick Studios. Excellent creative execution, just enough frenetic energy to keep me engaged and some interesting design choices. I’m a fan! The book that has had the most impact on me from a creative standpoint, is in fact a book that very few people have read in the interactive entertainment industry. The Knowledge-Creating Company by Ikujiro Nonaka is a study in how leading Japanese companies use process to drive innovation. It’s a great book that challenges at its core the foundation of how Western companies approach innovation and as such, I feel it’s a necessary and complementary read for anyone raised in the West. The business of television and movies plays a heavy role in influencing my view of creative development and innovation. On the television front, I maintain that JJ Abram’s Lost has yet to be fully appreciated for its creative brilliance, contemporary approach to storytelling and willingness to take risks. On the movie front, I am a huge fan of Christopher Nolan and all conspiracy theories associated with his career arc and movies. Of them, I am a particularly big believer in the theory that The Prestige is the ‘key’ to how Nolan would deliver his version of Batman. These days I find I have less and less time to listen to music, especially at work, but when I do listen to music for inspiration I find hip-hop is really the only way to go. Simple 4/4 time signatures, poetic lyrics, layered samples and hard beats. It’s the perfect thing to pull me out of my San Francisco routine. The global nature of our business has me travelling a good portion of the year. When I’m on the road the one app I simply could not live without is Foursquare. In Berlin for the weekend without a plan for where to go? No problem! Just jump on Foursquare and do a quick scan for the hottest restaurants in your area. The last 12 months have very much been about how to simplify and streamline my life. As such, I’ve found I put less of an emphasis on gadgets and more so on apps that extend the function of my Smartphone in new and exciting directions. GrubHub food delivery, Uber automobile transportation, Exec home cleaning… It’s safe to say my life is substantially different (and easier) today than it was even a year ago.